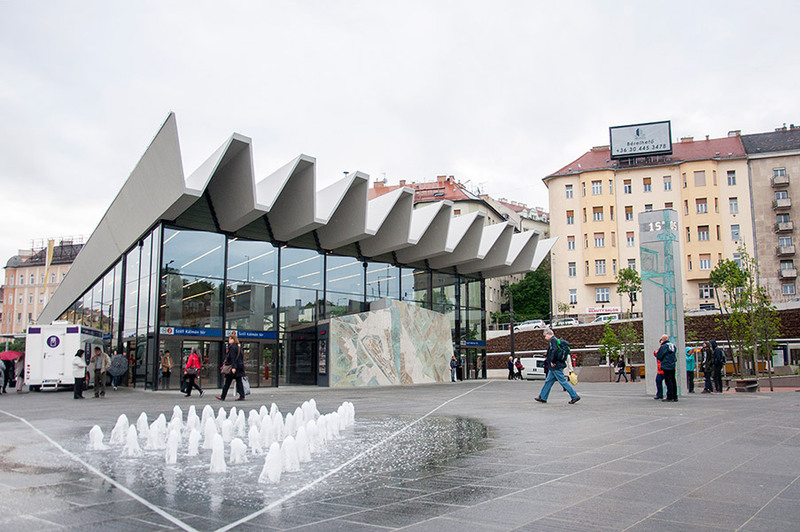 The new architectural and overall image concept utilizes modern elegance and simple architectural devices to make the renewed square more people-oriented and usable. With the restoration of the subway terminal building, where the metro entrance is located, the side wings disappeared. During the restoration, double-layer insulating glass structural glazing was installed, with sunguard coating and in extra large dimensions. The approx. 300 m2 installed glass surface includes not only traditional forms, but shaped glasses as well.